A textbook case of the economics of supply and demand in sheep and lamb markets this week as reduced throughput in most states provides support to prices. The Eastern States Trade Lamb Indicator (ESTLI) up 1.6% to close at 651¢/kg cwt. National Mutton a bit firmer still with a 2.6% gain to 515¢/kg cwt and even WA Trade Lambs getting in on the action with a 6.9% surge to finish the week at 635¢/kg cwt. 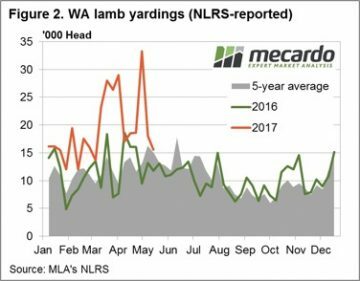 All states, except Tasmania, saw a decline in lamb throughput this week evident in the yarding figures for the East coast (Figure 1) and in Western Australia (Figure 2). 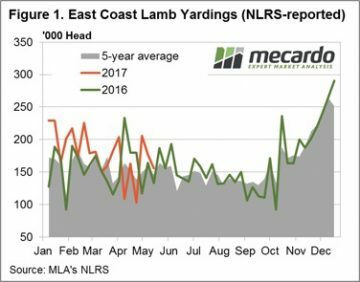 East coast lamb yarding down 12% to just under 156,000 head reported through the saleyards, while WA lamb throughput saw a decline of 13.8%. Saleyard price action responding accordingly to the reduced supply with NSW and Victorian restocker lambs up 7.2% ($115 per head) and 8.8% ($122 per head), respectively. Good gains also noted for NSW Trade Lambs, up 4.2% to 651¢, and NSW Heavy Lambs recording an increase of 3.7% to 640¢/kg cwt. Victorian Trade Lambs, still the dearest in the nation (with the exception of Restockers), registering a mere 1¢ decline to 668¢. 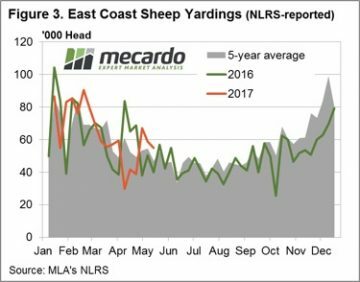 East coast Mutton throughput impacted by soft NSW figures where an 11% fall in NSW flowed through to a price gain of 1.6% for sheep in that state and a broader drop in the East coast throughput for the week – figure 3. 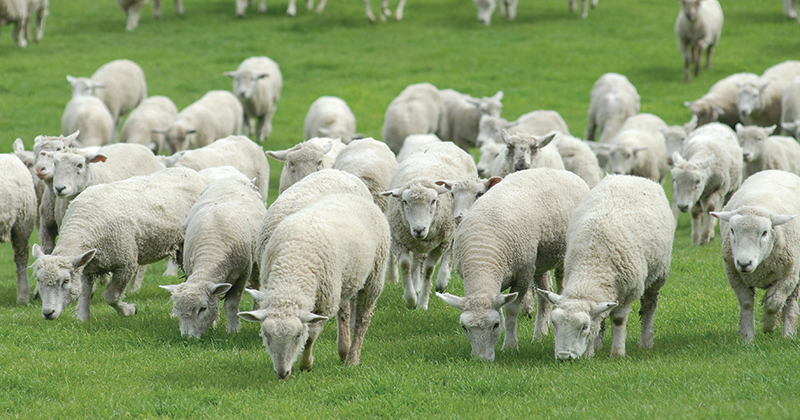 Not the case in WA and SA, where increased mutton yardings translated into double digit percentage price falls to see both state mutton prices back below 500¢. A classic example this week of prices responding to supply movements in accordance with the economic theory sets the tone for lamb and sheep markets as we head into the traditionally tighter winter season. A forecast of steady rain for the weekend and early part of next week to much of the sheep producing regions of the country and the prospect of tightening of supply, as the weather cools further, should continue to provide support to lamb and sheep prices.